Izzy Gizmo's inventions are marvelous, magnificent... and often malfunction. But when she finds a crow with a broken wing, she has to help! Izzy tries again and again to build a new pair of wings, but nothing is working. Can Izzy overcome her failures? Or is her friend destined to live as a crow who can't fly? 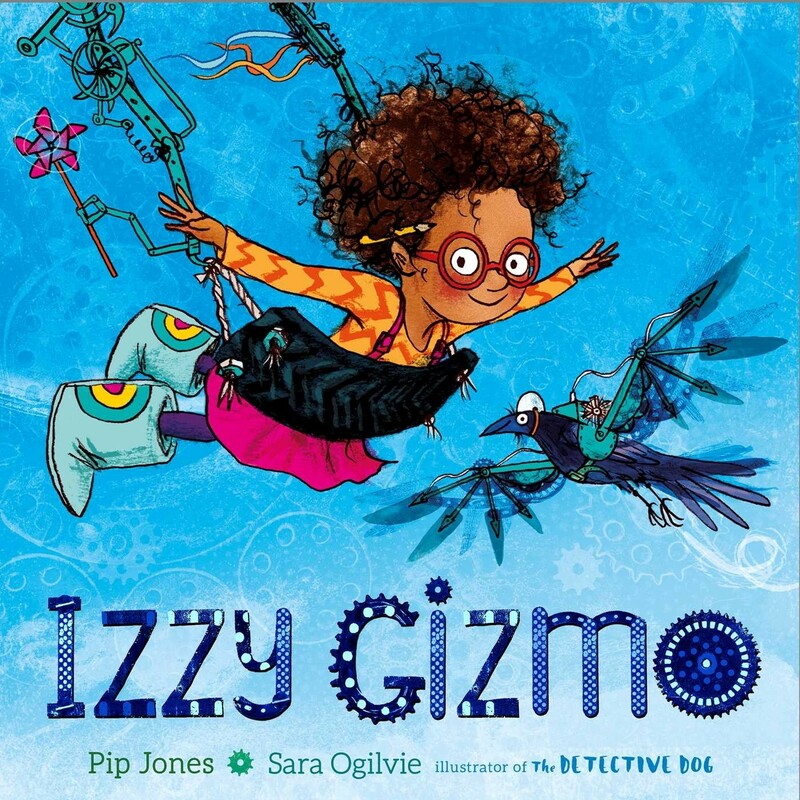 A feisty tale of determination, ingenuity, and friendship, Pip Jones’ U.S. debut, illustrated with bright, zany art of from the acclaimed Sara Ogilvie, is sure to capture the imaginations of aspiring young inventors.